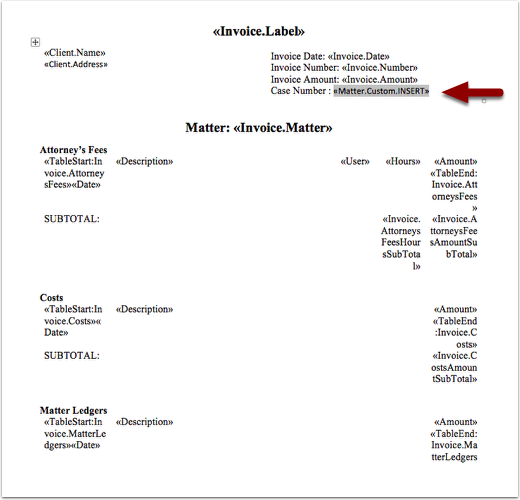 How do I add a merge field to my Invoice Template? 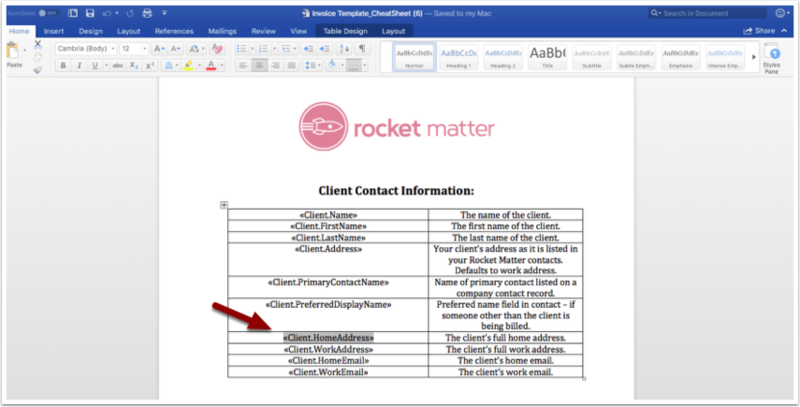 Rocket Matter Knowledge Base Invoice TemplatesInvoice Templates: How do I add or change a merge field on my Invoice Template? 1. 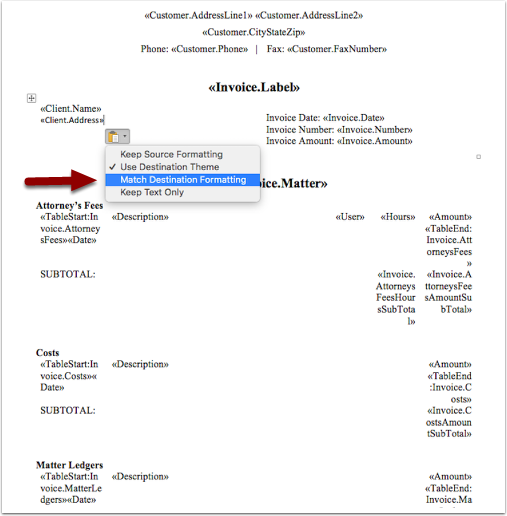 To add or change a merge field on your Invoice template, you will need a copy of the Template Merge Fields and Tables. Click on the 'list of available fields' to download. 2. You will also need to download the Invoice Template you want to work on. You can download a pre-formatted template, or you can open your current template. 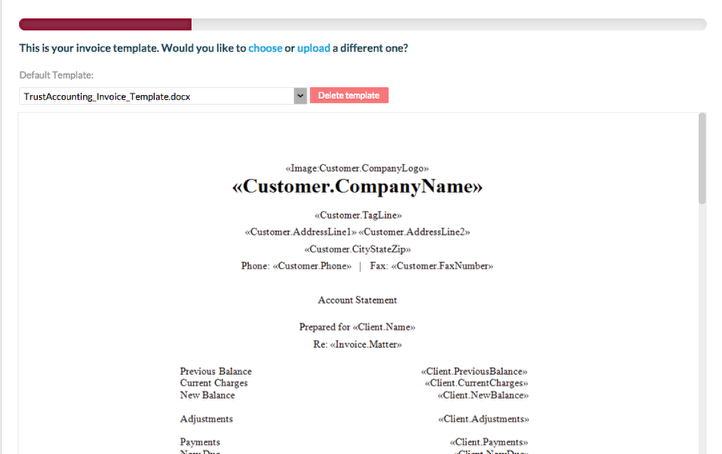 - You can download the current invoice template by clicking 'download template'. 3. 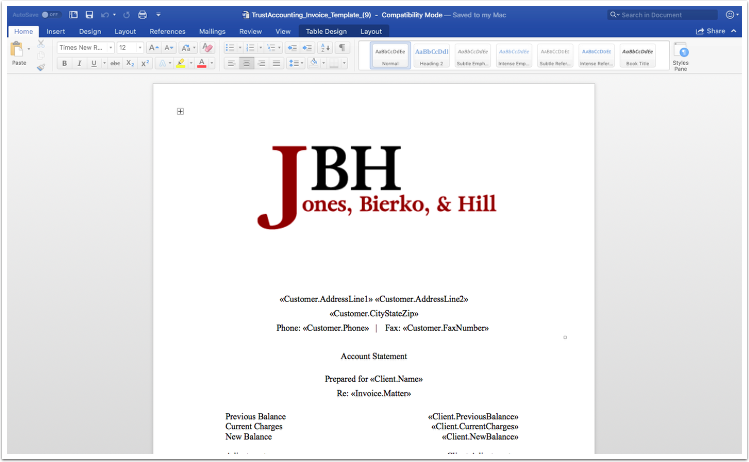 Open your Invoice Template in Word. 4. 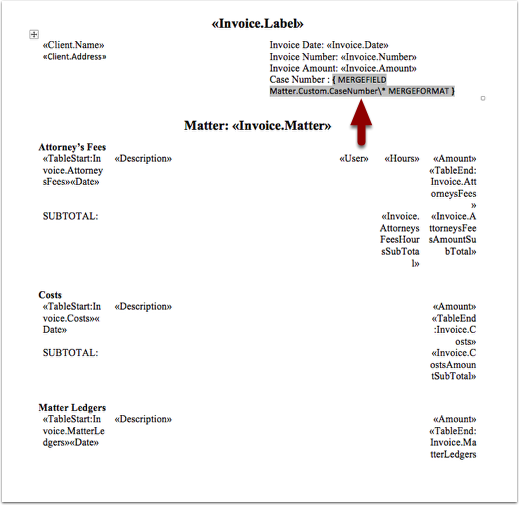 Open the Template Merge Fields and Tables file. 5. 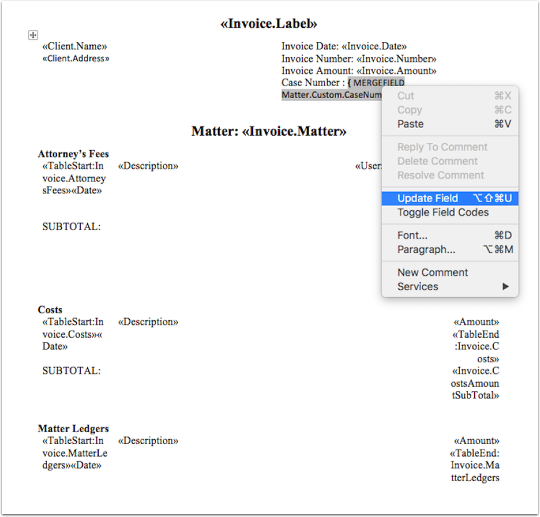 Select the merge field you wish to add to your Invoice Template by highlighting the merge field. Make sure to highlight from quote to quote. 6. 'Copy' the desired merge field. 7. 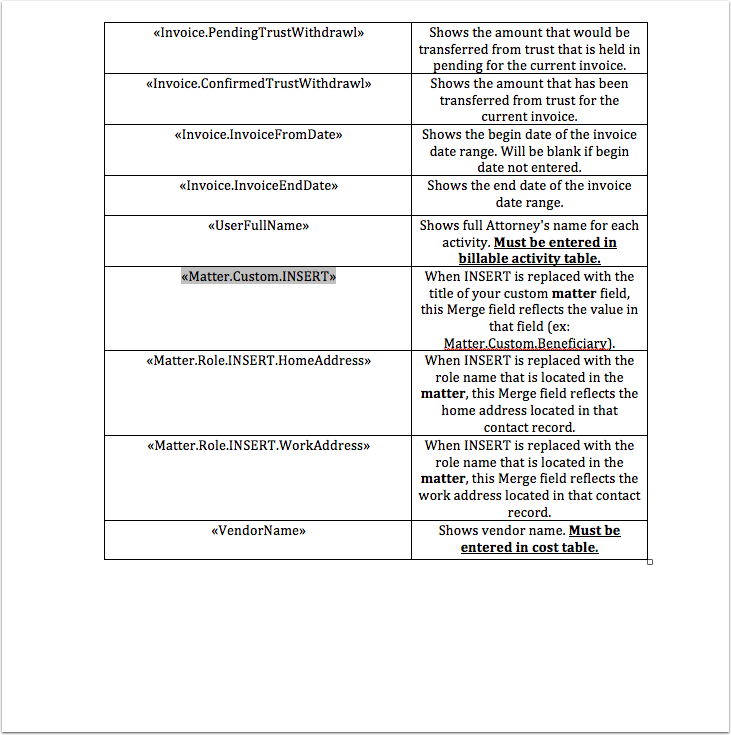 'Paste' the merge field in your invoice template. 8. After pasting the merge field, 'right-click' the clipboard icon and click on 'Match Destination Formatting'. 9. 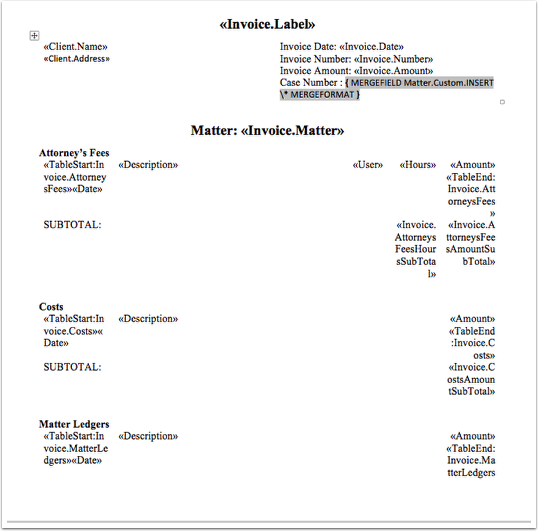 If you need to customize a merge field to match a matter custom field, copy the merge field named «Matter.Custom.INSERT» from the Template Merge Fields and Tables. 10. 'Paste' it in your invoice template. 11. Replace 'INSERT' with your field value. 12. 'Right-click' the field and select the 'Toggle Field Codes' option. Note: Merge fields are not static fields. They contain code which pulls information from a referenced location into the field. (Hence the term 'merge-field'). Selecting 'Toggle Field Codes' reveals the code associated with the merge field. 13. This reveals the code in the merge field. 14. Replace 'INSERT' with your matter field. 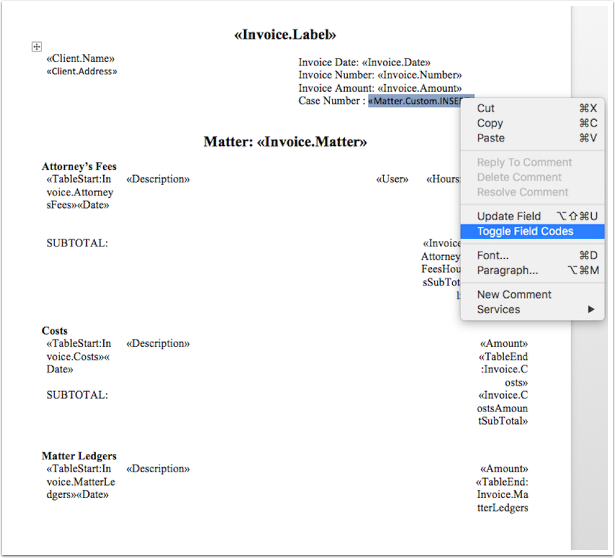 Be sure to type exactly the same words as in your matter dashboard and remove any spaces. 15. 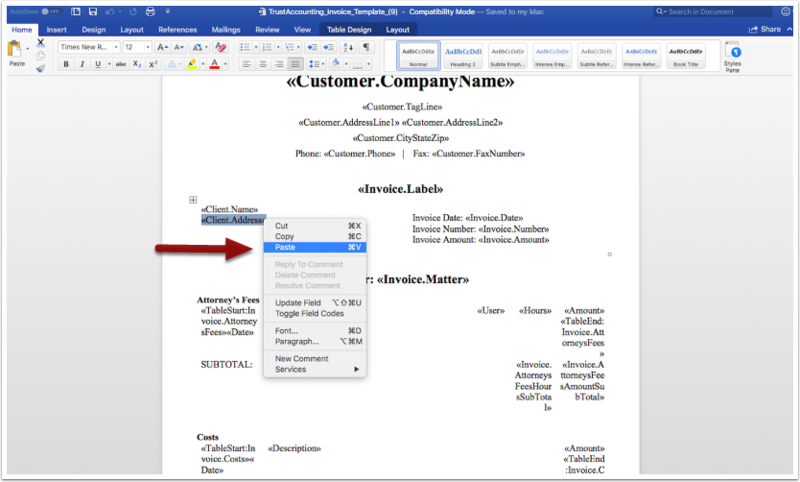 'Right-click' the merge field and click on 'Update Field'. 16. This sets the code in the merge field and reveals your field value. Save your changes in Word. 17. Upload your newly revised document into Rocket Matter. 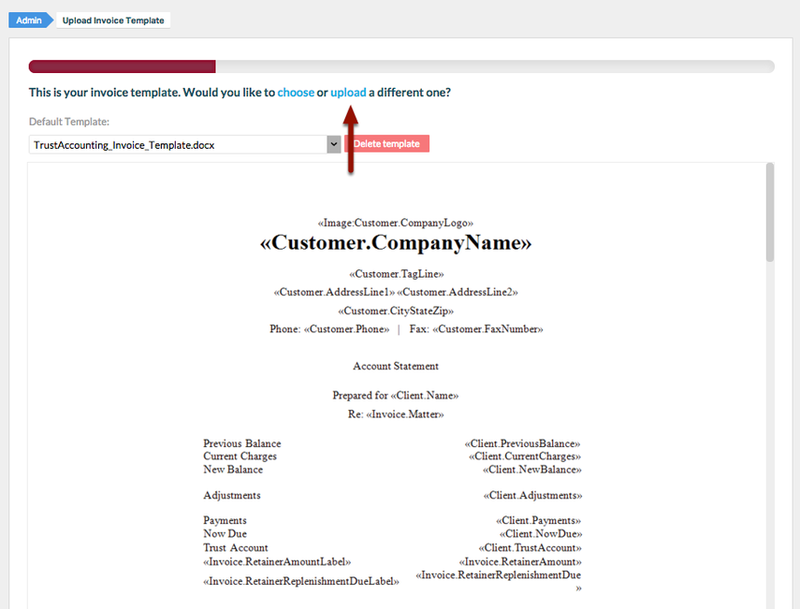 - Follow the prompts to select the invoice template you wish to upload. Click "Next". Zoom: 11. 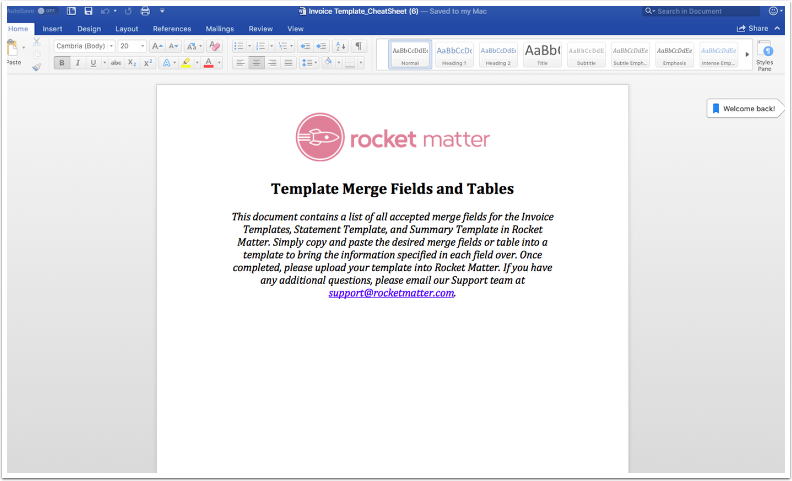 Upload your newly revised document into Rocket Matter. 18. Your updated Invoice Template will now appear in the preview window, as your Default Template. - We recommend that you run a Pre-Bill to confirm that the changes to your Invoice are according to your specifications. 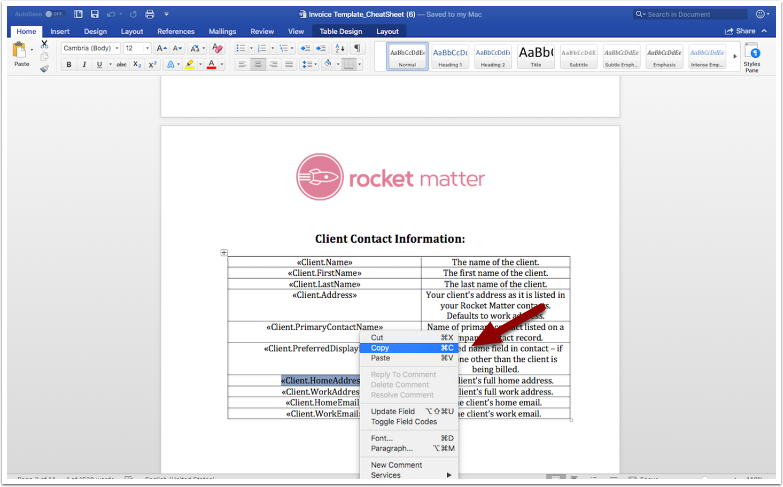 How do I choose one of Rocket Matter's 6 pre-formatted Invoice Templates? 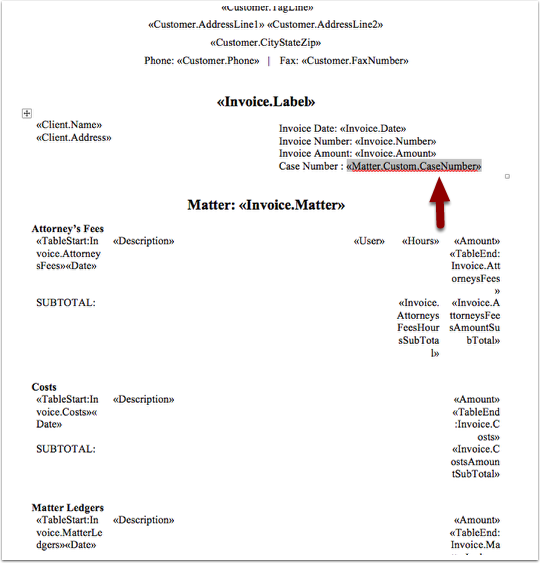 Prev: Invoice Template: How do I delete an Invoice Template? 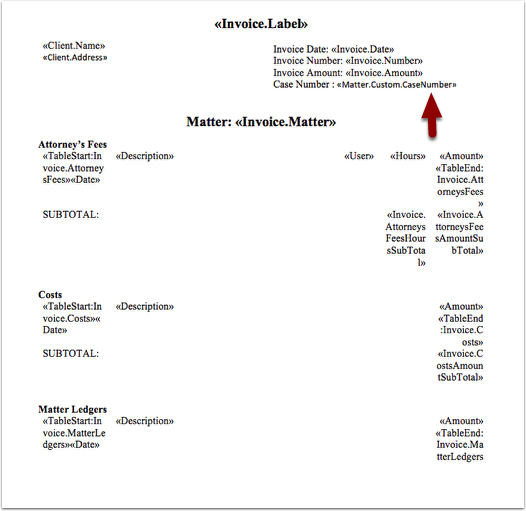 Next: Invoice Template: How to set a specific invoice template for one matter?